Following the previous meeting, we had created a rudimentary database in which we could list premises that were coming onto the market in, or near to, our preferred locations. The four of us could then review them against our criteria and decide which were worth pursuing. And so a few weeks after our last outing, on a Thursday night towards the end of February, we were on the road again to run the rule over four places. Our first destination was a five-minute walk from the Elephant & Castle roundabout. I joined Dave and Dodds at Antic’s Elephant & Castle pub just in time to see them finish off their pints of Volden, Stockers unavailable for this evening’s fixture. The premises we were here to see covered the whole ground floor of a new-build block of flats. 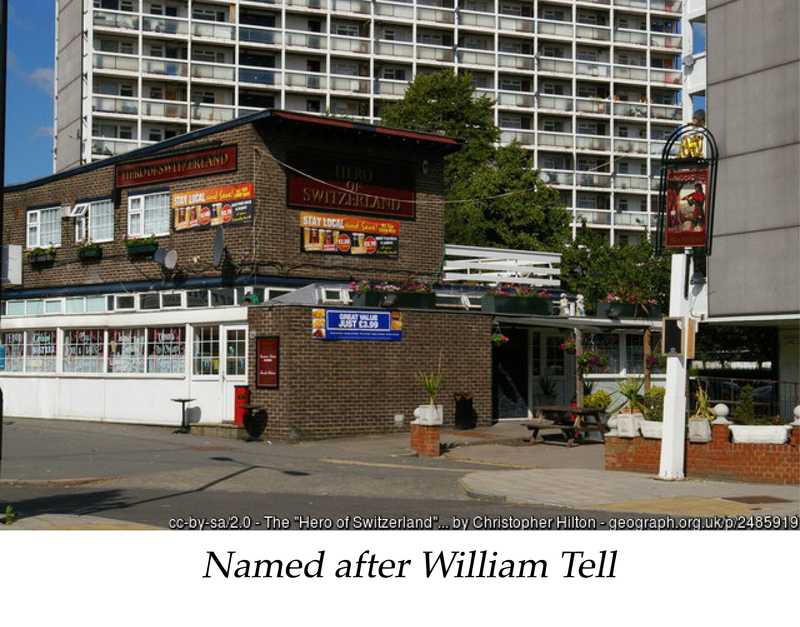 It was of particular interest as it already had A4 permission (the planning use required to trade as a pub). 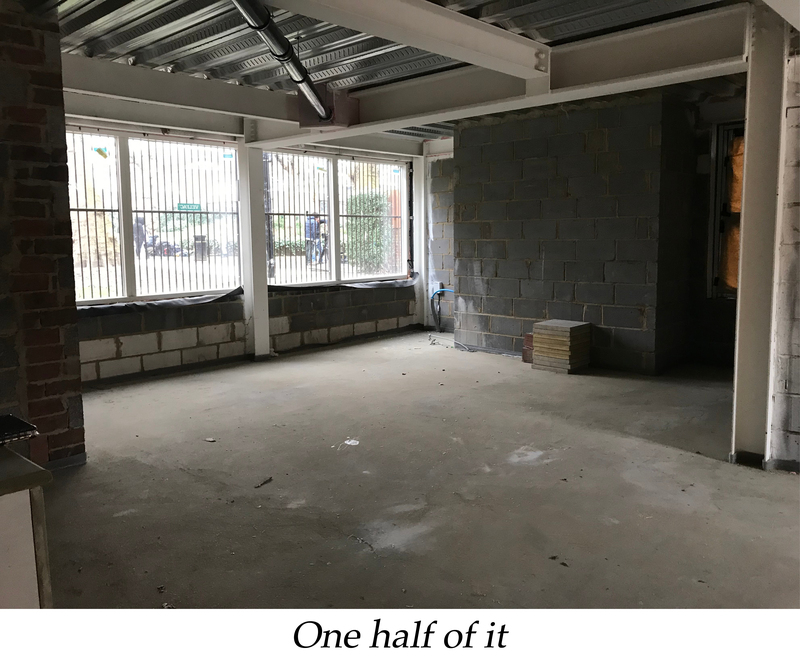 As this would take many months to acquire for an existing retail premises (which have A1 permission), we were willing to overlook the fact it was slightly over our budget and slightly larger than our agreed upper size limit. With the landlord asking for restrictions on opening days/hours, music/noise levels and the serving of food in consideration of the residents above, it sounded like a micropub would be welcomed. As we turned into one side street and then the next, the lack of people walking by was an immediate concern. The premises was in the middle of a road between the A201 and Harper Road. We weren’t convinced: if it was at either end of the street, maybe it would be a goer, but there seemed too little a possibility of passing trade to make it a viable option for us. A brisk stroll to the station was required to catch a train to Loughborough Junction for the next two places. The second place was pretty much next to the station, on the corner of a busy road junction. This was more like it and the premises was within budget and a decent size. We would investigate further. I proposed the scenic route up Loughborough Road to the third place but we couldn’t pass an establishment called the ‘Hero of Switzerland’, a classic-looking estate pub, without popping in for a swift half. The interior appeared barely changed from the 1970s. And a good thing too. Traditional drinking pubs like this are becoming all too extinct sadly in some parts of the capital. With the locals eyeing us up, we bottled the halves and opted for refreshing pints of Guinness from the cheerful barmaid. The third premises took us deep into a nearby housing estate. Whilst relatively cheap at £10,000 a year rent, it was not remotely near anything else and we quickly ruled it out. 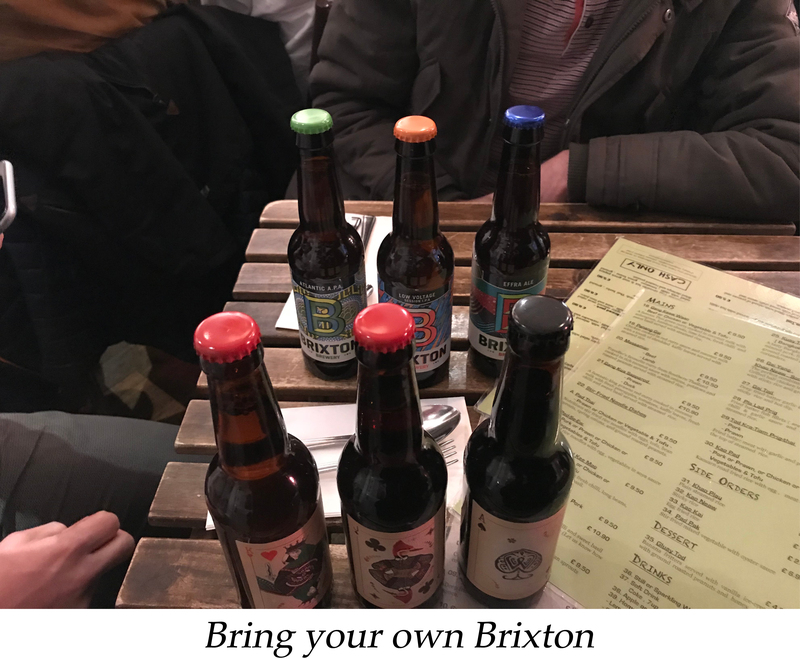 We headed into Brixton and straight for the London Beer Lab, where we were able to go through the rest of the premises longlist thoroughly and whittle it down. After some Thai food at Brixton market, we ventured up Atlantic Road to the final premises of the night. Although Atlantic Road has plenty going on, the premises was at the far end on the edge of the shops and while it wasn’t a definite no, it seemed a bit quiet. Our suspicions were confirmed when we popped into the Ghost Whale bottle shop which had a few people in but it didn’t feel like a part of Brixton which attracted too many people later on in the evening. The evening was rounded off with visits to the Effra Hall and Dogstar. Although we’d ruled out most places, we felt we’d made good progress, with the Loughborough Junction premises to pursue further. Aftermath: I viewed the Elephant & Castle premises the day after. It was too big and even taking into account the fact it was new build, was lacking character. And it was uncomfortable to think that a pub (the Uxbridge Arms) had been demolished to make way for the new building. The landlord of the Loughborough Junction place would not allow a change of use to A4. We noted for the future that before we add places to the shortlist, we should probably check that first. And so the search continued.